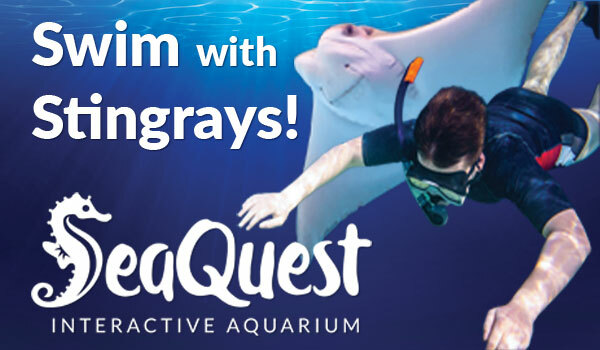 Super excited to be taking my family next week to SeaQuest. It will be our first time exploring at SeaQuest and my kids and I couldn't be more excited! SeaQuest Interactive Aquarium offers a completely interactive, hands-on learning experience for the entire family. Designed as a 'Quest of Edutainment', visitors to SeaQuest will journey through realistically themed exhibits where they will connect with the animals through various hands on encounters such as feeding sharks, stingrays, giant pacific octopus, sulcata tortoises, large exotic birds species, and thousands of other creatures along the way. Anyone in search of a more daring experience can enjoy walk-in bird aviaries, feeding caiman alligators or snorkeling in their giant snorkel tank filled with reef sharks, stingrays and hundreds of other tropical fish. Sea Quest Interactive Aquarium also offers an exclusive private event venue which is ideal for school field trips, birthday parties, and private events. 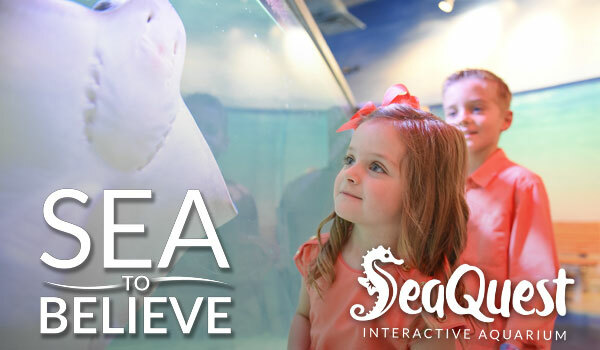 Explore, discover and learn more about the world we live in, as well as create lasting memories for the entire family and kids of all ages at SeaQuest Interactive Aquariums. Stay tuned we will be sharing with you all about our adventure at Seaquest next week.